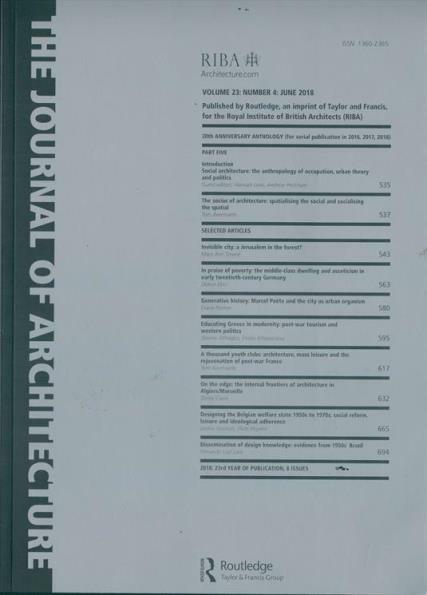 The Journal of Architecture is jointly published by the Royal Institute of British Architects (RIBA) and Routledge. Launched in 1995 it is the longest standing, continuously published, international, refereed publication on architecture in the UK. It has followed a policy of publishing material on every aspect of architectural endeavour including contributions by students, academics and practitioners. Buy a magazine subscription with Unique Magazines.